Well, I have a handful that won't ever leave my cabinet. Each has there own use. Hippy Slayer for when I need to nod off and sleep for 6-8 hours. Icookie for staring through the tv. Sunshine Daydream makes my wife happy. Also would love to hear of how this was acquired. Hello yes the seeds were an S1 sent to me from a friend in the States. 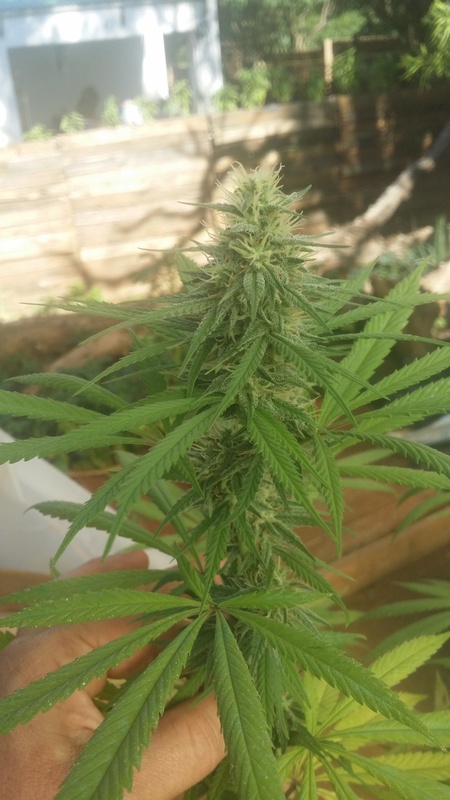 His uncle acquired the seeds in the 80s from Pai Thailand and their family has been growing her for years. He reversed a cut off their Thai mom and I swapped him some Swaziland and Malawi seeds for the S1 as well as Thai x forum cut cookies and Thai Blue Dream. Interesting, do you know from a natural inter-sexing or is it known to be done on purpose? Very unique look to her. A cutting from the mom was reversed using a product available in the state's that's similar to colloidal silver I guess. The genetics on the seeds i received were extremely stable. Really great mango fruit punch nose to her but tatstes just like a litchi fruit. I'd have to say 99percents GDP and I haven't even smoked it. That baby just keeps on ticking and it's regenerative ability needs legitimate clinical study. Primarily though it's copper chem from Greenpoint which is my main medicine. Helps my blood pressure kills my arthritis/Occipital neuralgia and even takes me out of depression and keeps my mood swings smoothed out and less drastic. Unfortunately ive developed a tolerance to it psychoactively, but it still does it's job. Only one strain is damn hard, but i will choose the sweet tooth#3. I'm always unhappy when i don't have yet a mom to clone. TK. Haven’t even had a great run with her yet but I won’t let her go. 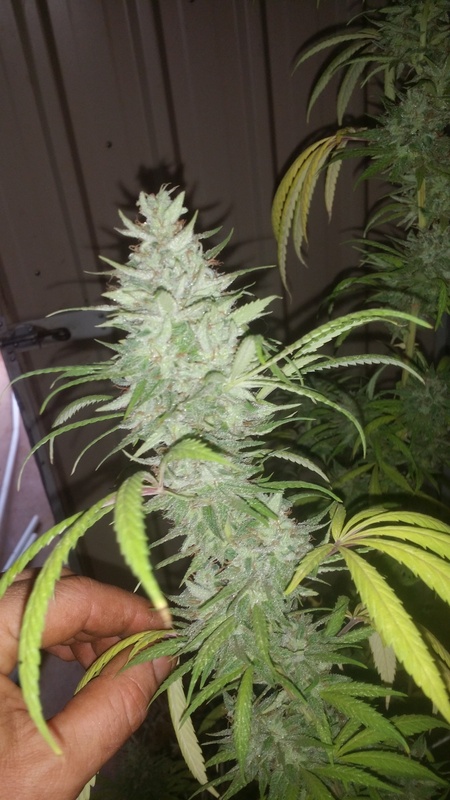 @LED_Seedz gifted me his cut of Hippy Slayer five years ago, it's not an easy plant to run but its hands down the strongest cannabis I have smoked in 35 years. Hippy Slayer is Dirty Hippy – “snow lotus sister” (afgooey x blockhead) x Road Kill Skunk is from the Jim Ortega line. Is the hippie slayer available commercially? Or even the dirty hippy? @LED_Seedz is working on some crosses, I do believe they are in the testing phase atm. For me it would be my FDM ESB mum. She is what everything has always been compared too and most don't stack up. Thanks @Kraven. This is good new indeed! For me uk blues livers cut but i have so much strain to test than it couçd be change. Sweet Tooth just took me back to the golden age of OG. .I remember when BOG 1st debuted it.